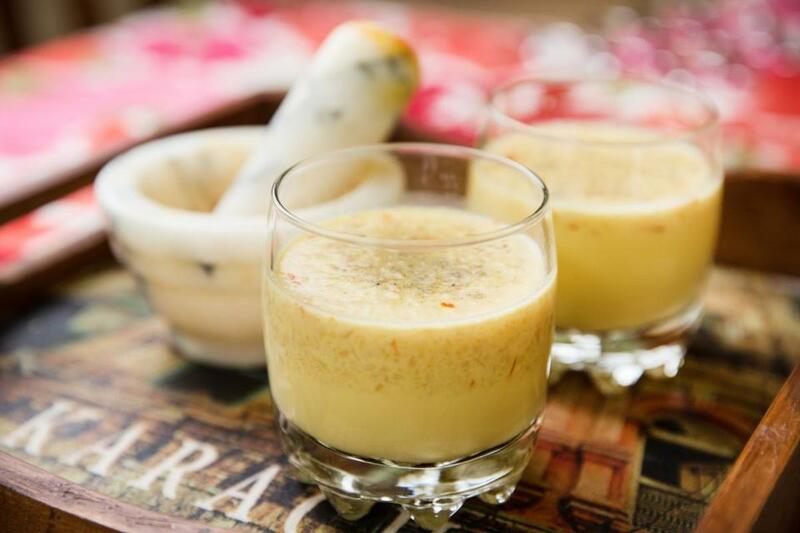 At iftar, the meal that breaks the Ramadan fast, Farah Abbas of Belmont serves this golden-colored, cooling milk infused with saffron and almonds. 1. In a saucepan over medium heat, combine the milk, almonds, sugar, melon seeds, and saffron threads. 2. Heat, stirring, just until the milk is scalded; it should not boil. Iftar is the nightly meal that breaks the Ramadan fast. This year, it’s a chance to share more than food. Sheryl Julian can be reached at sheryl.julian@globe.com. Follow her on Twitter @sheryljulian.